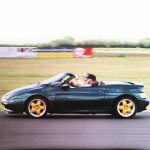 Lotus Elan Central • View topic - Spray can with 2k paint? Spray can with 2k paint? Does anyone know a good source were to get these at a friendly price? Re: Spray can with 2k paint? 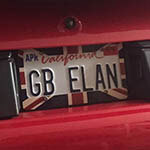 as in our elan calypso red ? is there such a can ? I can ask down the paint factors for you ... ici or dupont red ? No there isn't such a thing ... Well there is but you are not going to be able to get it even from a good paint shop. 2k means two pack ie paint and catalyst so you cant have them together in a can because it would quickly go solid. You should however be able to get any colour mixed and put into a spray can or touch-up but it will only be 1k. Paint is expensive having it put into spray cans for amateur use is even more expensive. There are such cans of course. 2 reservoirs under pressure you can puncture so they mix. .... but have just looked online, and this place may be worth a try. They don't actually list Lotus, but if they have the technology to mix to code, all they *should* need is the actual 'recipe' for Calypso Red. Yes I know there is such a thing but you aren't going to be able to get it - Hence my comment. Why would you put an obsolete professional product into an amateur package when it is only usable for 15 minutes. For the effort and expense you may as well buy a spray gun and do it properly. good site Dave - I see it is 8 hour shelf life. So super slow hardener. Still not sure why you would want to even try. But as a thought you could do base coat and clear and use the 2K lacquer. If proper sprayed, a rattle can can give you a perfect result. However since it is 1k, it will not be very durable or resistant to solvents etc. If you could get the same result with a 2k rattle can, why not do this? I don't care if the hardener would be fast, I care that the end result looks perfect. I would use it anyway for small paint repairs or spray a replacement panel in another color. I now have some samples of 2k paint in a rattle can at my desk. I will give it a go on my new intercooler and radiator. Why would you want the red color to be a 2K? Aren't you going to clear coat it? If so, it's easy to buy clear in 2K cans all day long. The clear is what needs to be durable because it's facing the elements. I buy my color matched spray can paint from a company in California. It was an amazing match for my Calypso red Lotus. I have matte black as a sample now, so I am going to try that first. I'd love to know your supplier pls..
took me a while to come back - but thank you - I'm going to order some..